GALION — Bitterly cold temperatures could cause delivery of your newspaper to be delayed or missed entirely for a few days. Until then, readers are encouraged to take advantage of the e-edition of the Galion Inquirer. It is an electronic replica of the printed newspaper. 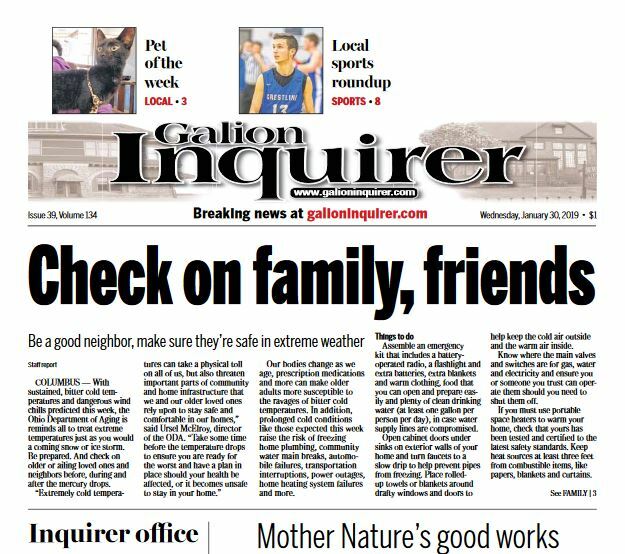 You can access the e-edition by visiting www.galioninquirer.com and clicking on E-Edition at the top of the home page. The e-edition will remain free and open to the public until Feb. 6. We’re sorry for any inconvenience and appreciate your patience.